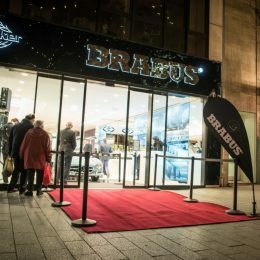 Two global brands as a new addition to Düsseldorf’s Kö Boulevard: BRABUS, manufacturer of and refinement specialist for exclusive high-performance automobiles, and Sunseeker London Group, exclusive agent of the globally renowned yacht builder from Great Britain, inaugurated their joint “KÖ90” flagship store in Königsallee 90 with a magnificent grand opening on December 15, 2017. 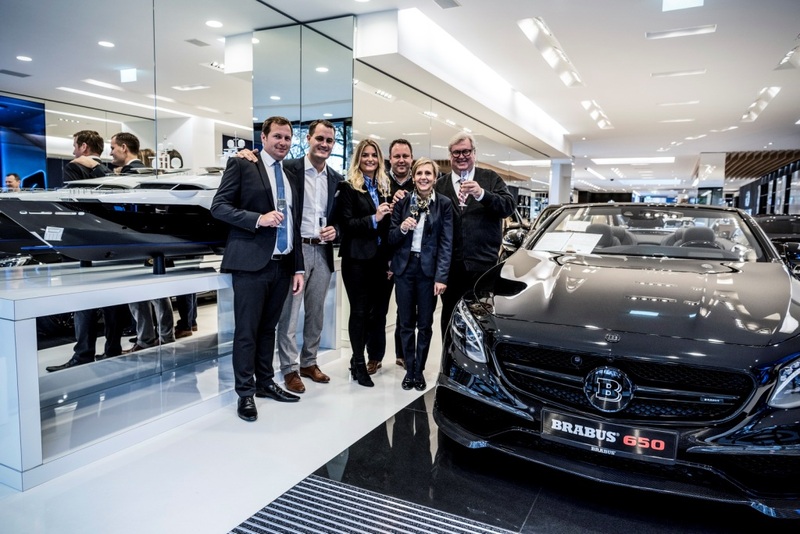 In doing so, both companies are blazing a trail by being the first brands from the auto and shipbuilding industry to present themselves on the Kö, one of the world’s most popular boulevards. 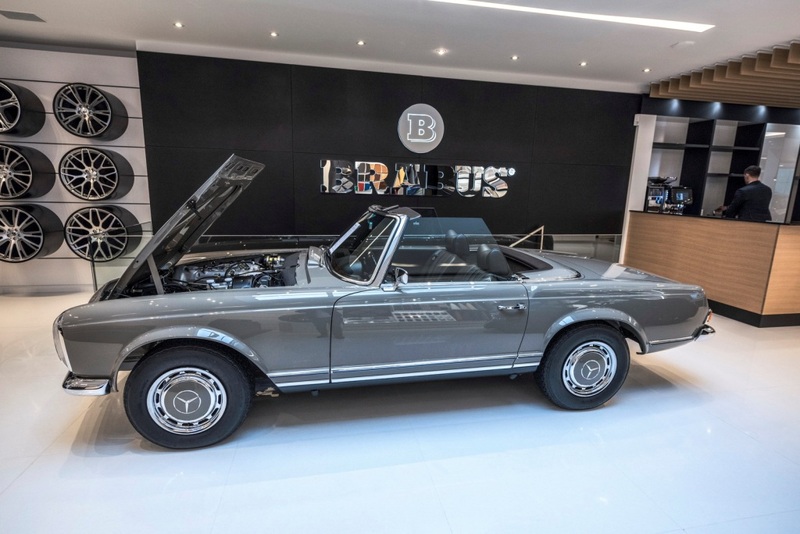 An exclusive selection of BRABUS supercars, exquisitely refined Mercedes-Benz vehicles and vintage cars lovingly restored from the ground up will be presented on 400 square meters in the southern part of Königsallee. 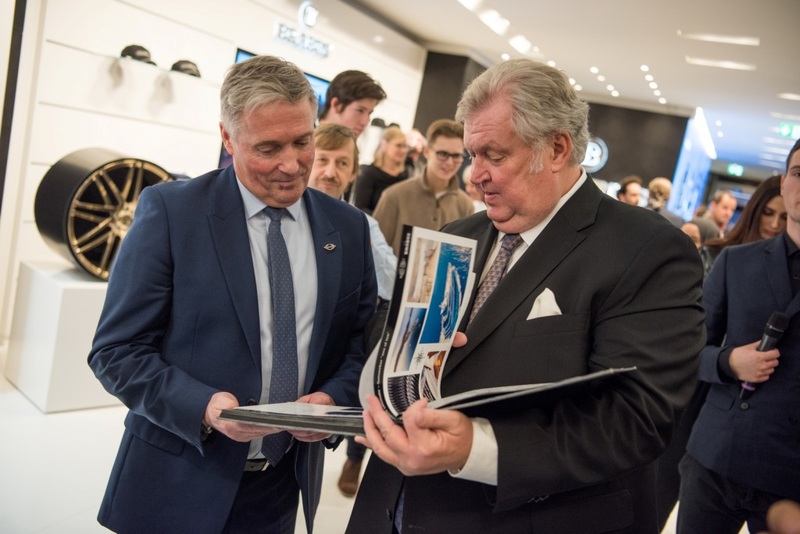 Sunseeker Germany, under new management since the start of this year and now an official member of the Sunseeker London Group, presents its customers and potential new buyers the wide range of luxury ships of the British shipyard in its first showroom in Germany. 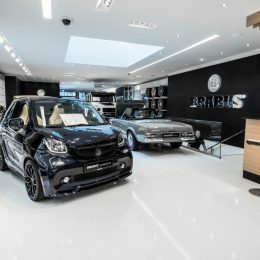 The BRABUS Flagship store on Kö Boulevard in Düsseldorf thus offers its customers a uniquely exclusive product range that is new and unrivalled even for this luxury shopping mile. 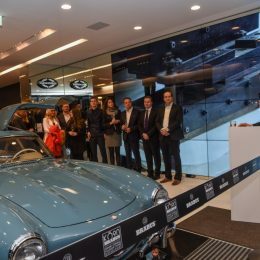 In addition to BRABUS supercars capable of reaching top speeds in excess of 350 km/h (217 mph), connoisseurs can also purchase exceptional classics such as a 300 SL Gullwing rebuilt from the ground up by BRABUS Classic for over two million euros or a Sunseeker superyacht for up to 24 million euros. 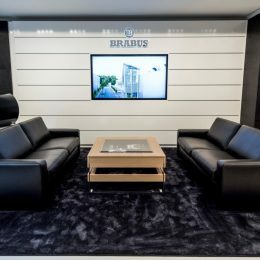 The state-of-the-art multimedia equipment for the virtual presentation of the BRABUS supercars and Sunseeker luxury yachts on the Kö comes exclusively from the world’s leading manufacturer LG Electronics. 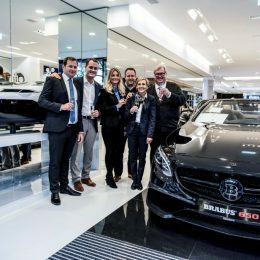 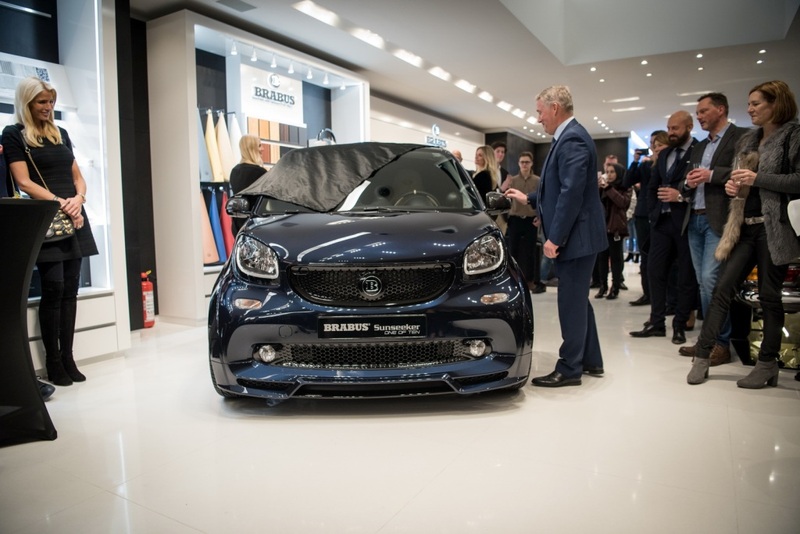 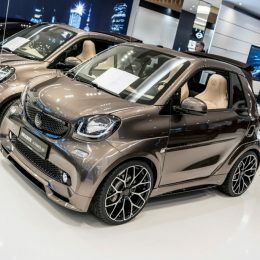 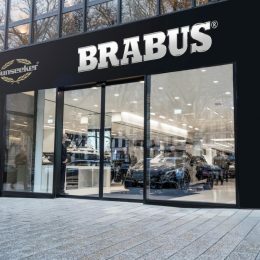 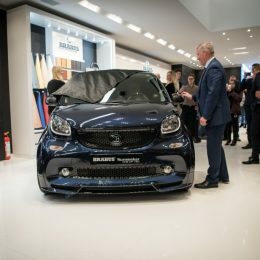 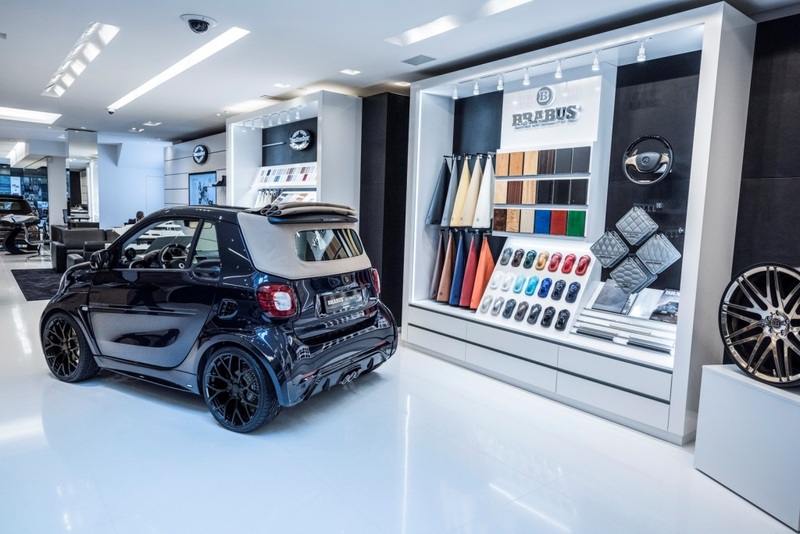 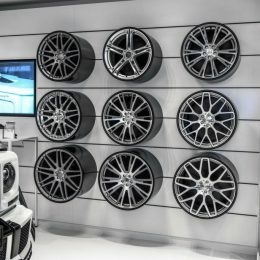 BRABUS, manufacturer of exclusive high-performance automobiles and the world’s largest independent automotive tuner, continues the expansion of its global sales network consistently with its first flagship store in Germany. 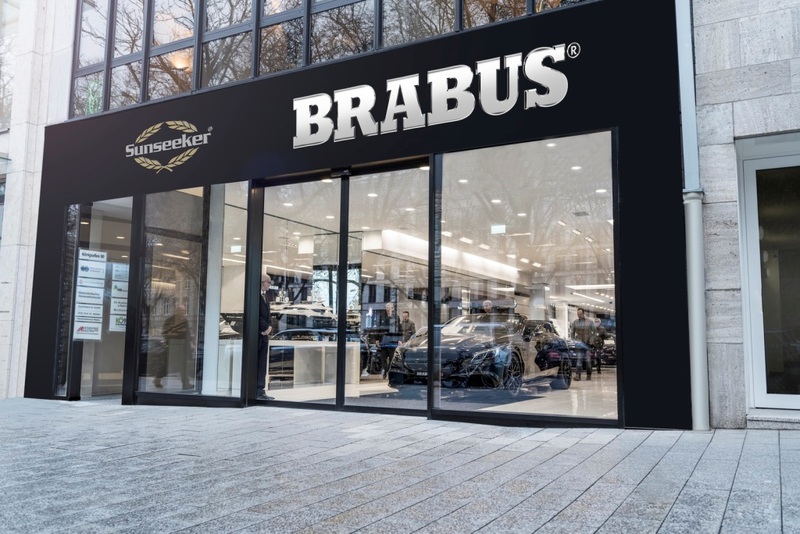 BRABUS branches and retail outlets today are found in 106 countries around the globe. 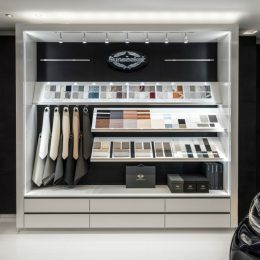 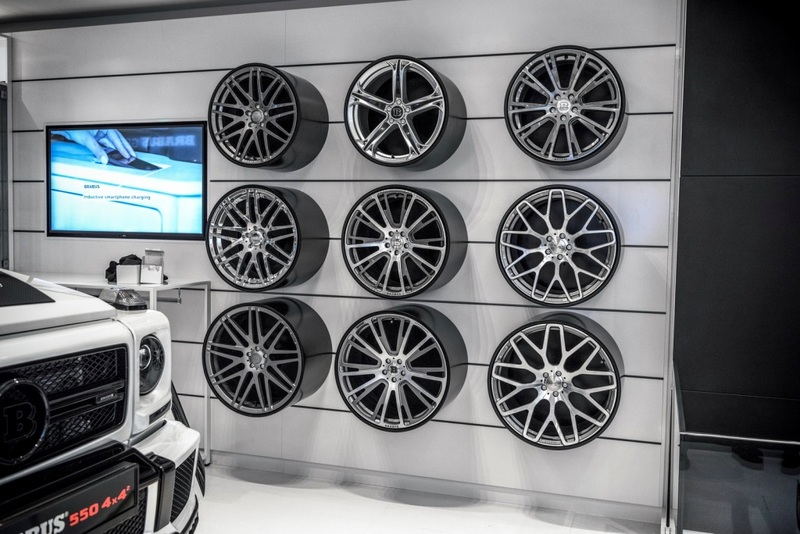 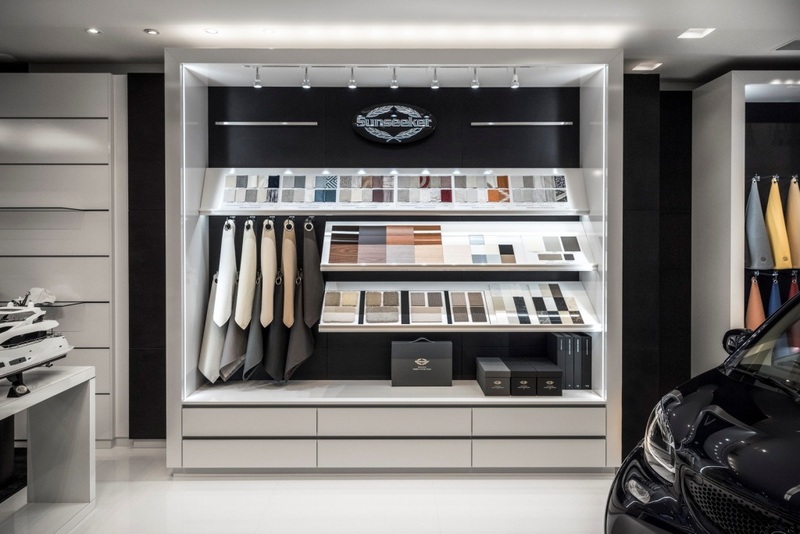 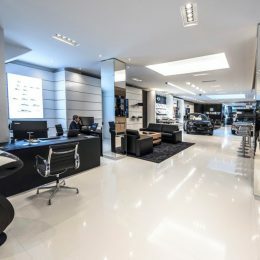 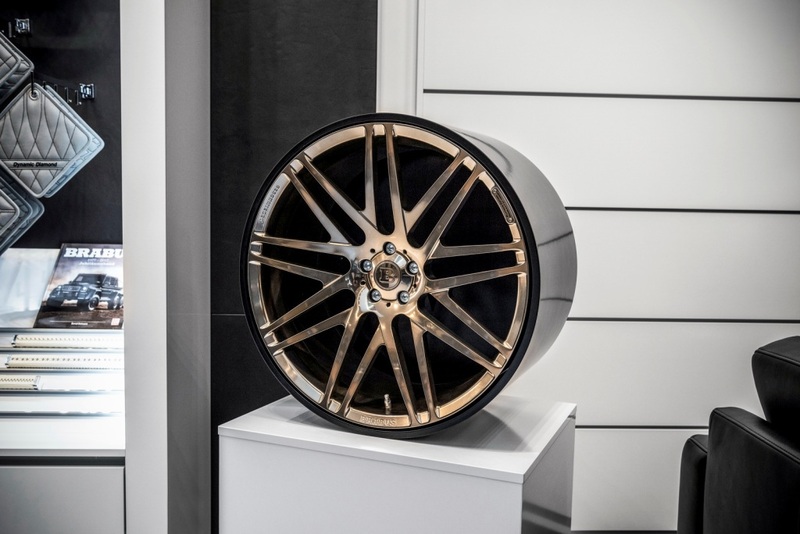 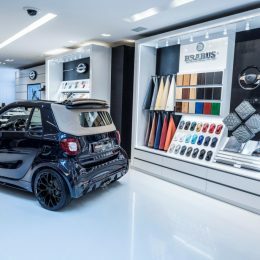 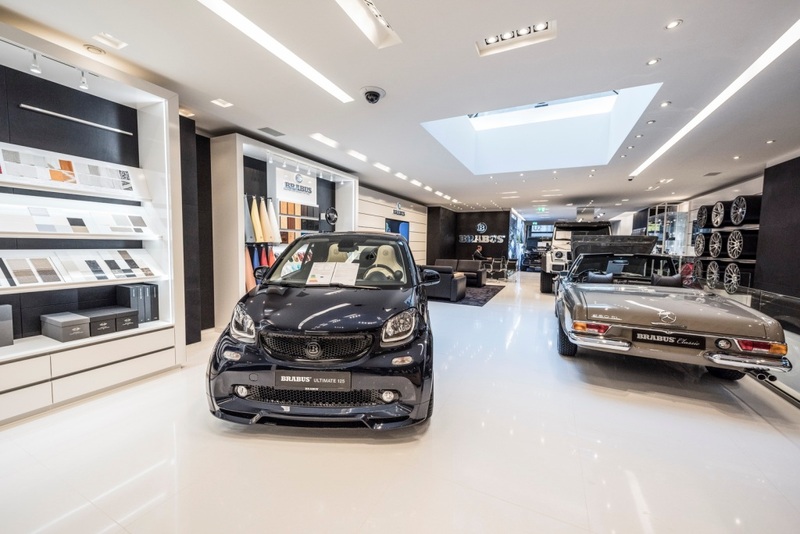 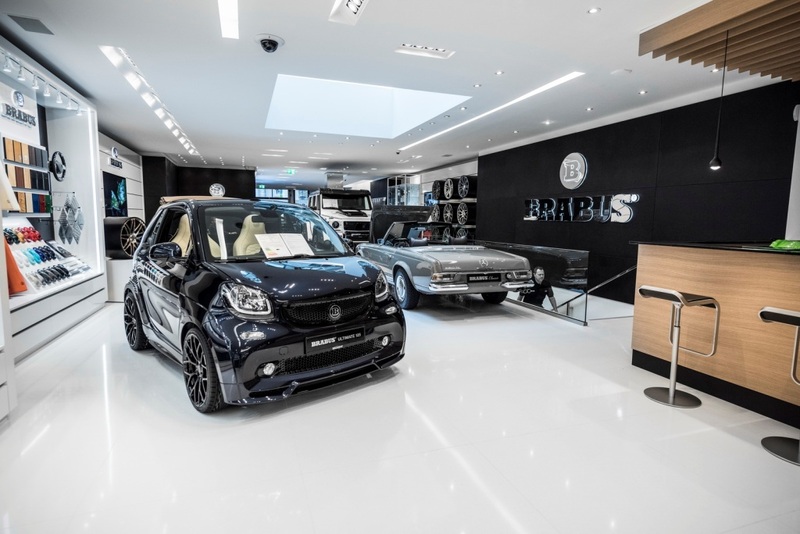 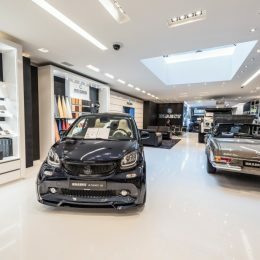 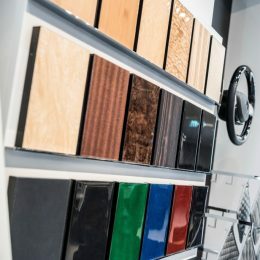 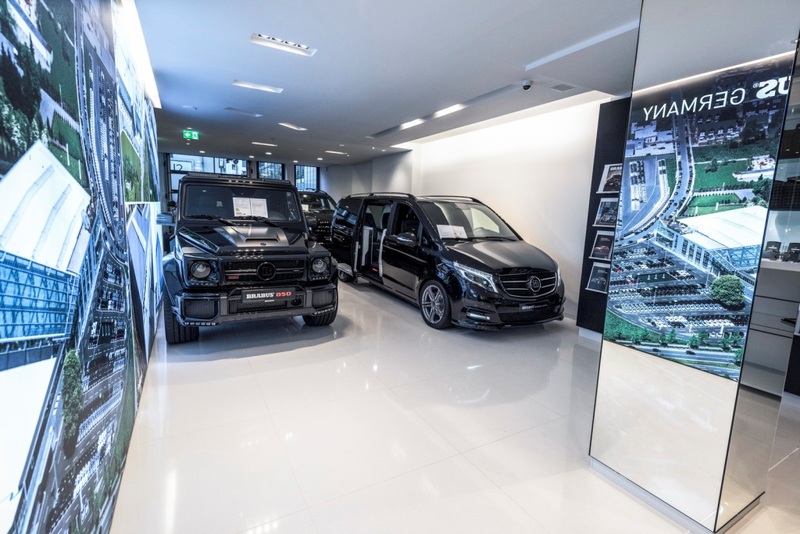 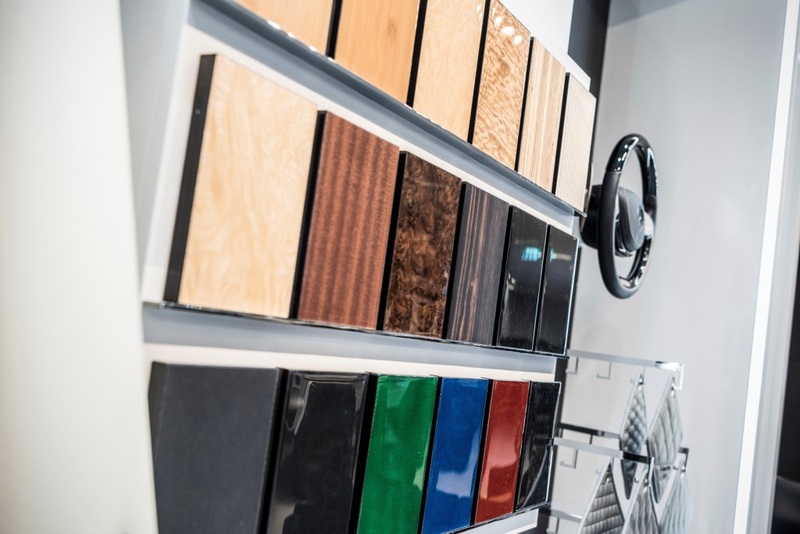 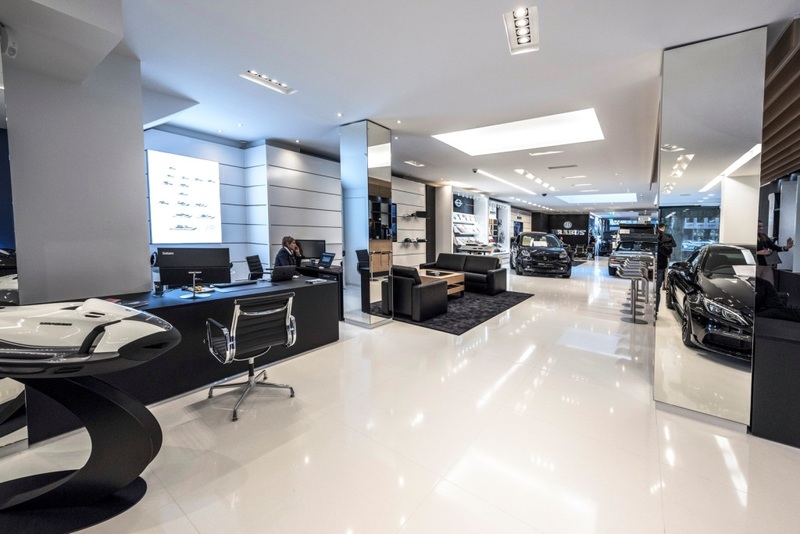 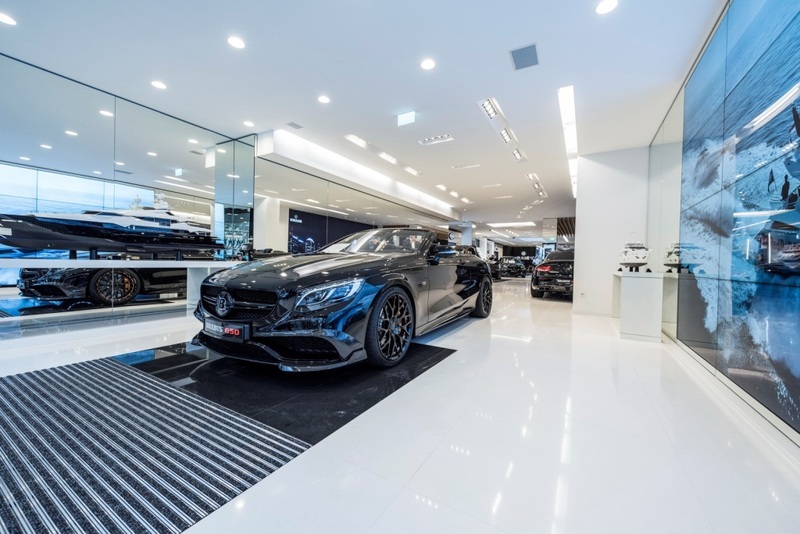 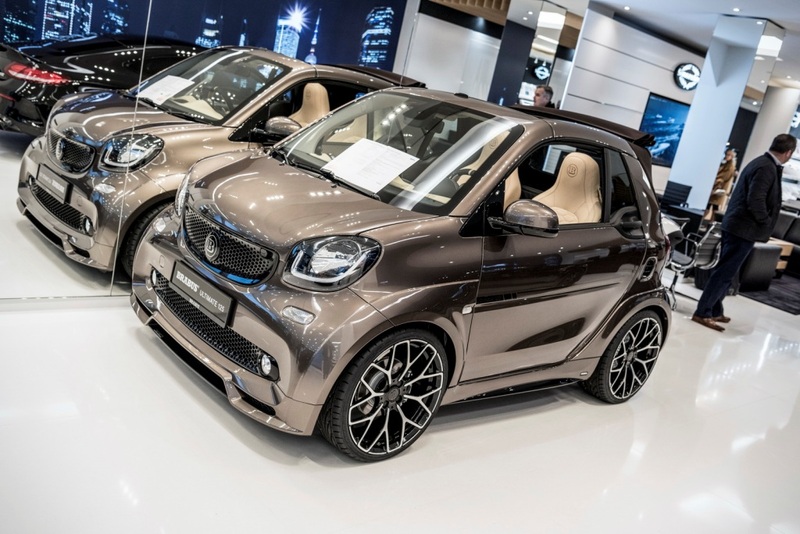 The BRABUS showroom on Düsseldorf’s Kö Boulevard is a seamless fit with the make’s other flagship stores in Dubai, London, Los Angeles, Miami, Moscow, Beijing, Shanghai and Tokyo. 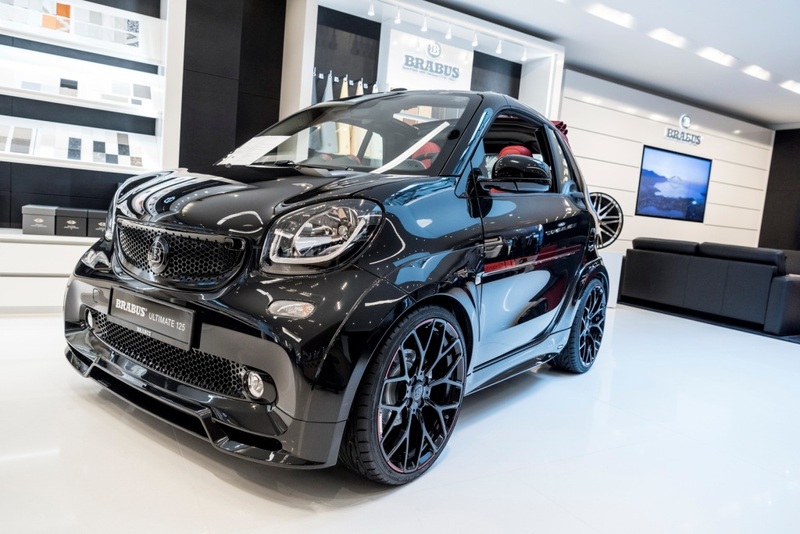 Long-time and future domestic and international BRABUS customers will be attended to in the heart of the capital of the German state of North Rhine-Westphalia by qualified BRABUS sales consultants. 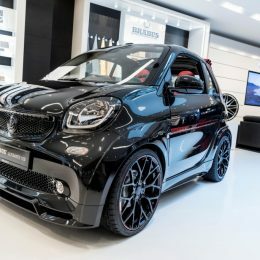 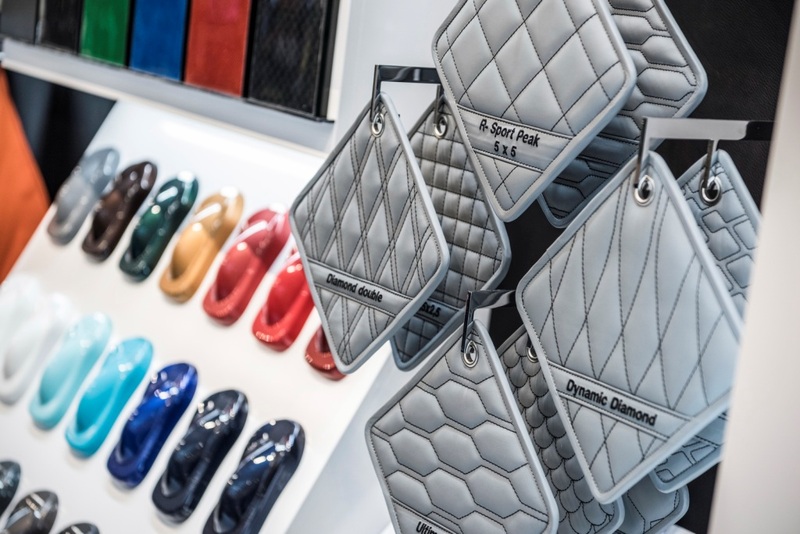 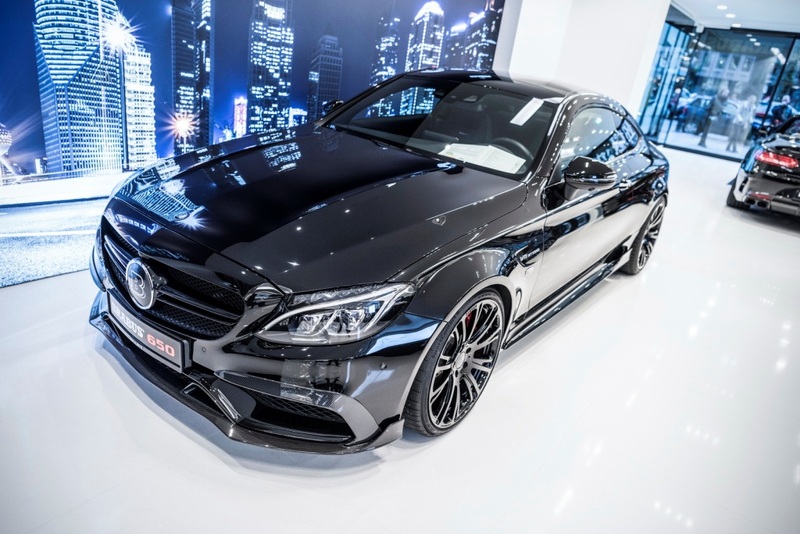 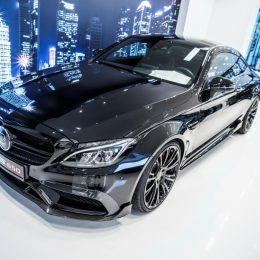 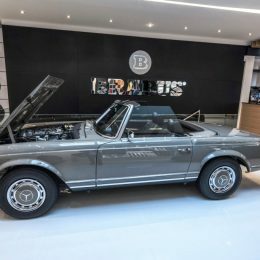 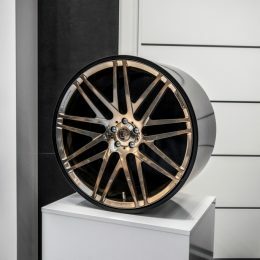 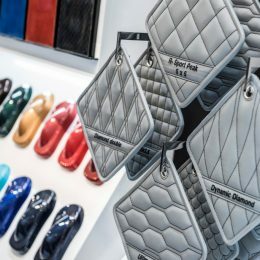 They provide hands-on assistance and advice when it comes to the custom configuration of a supercar or the exclusive BRABUS refinement of a Mercedes in the BRABUS Manufaktur, located just 50 kilometers or about 30 miles to the east in the city of Bottrop. 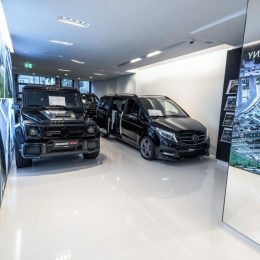 Another specialty of the flagship store in the metropolis on the Rhine River lies in the sales of vintage Mercedes-Benz cars, which after an elaborate BRABUS Classic 6-star restoration come with the two-tear BRABUS Classic warranty with unlimited kilometers/miles that is unique in the industry. 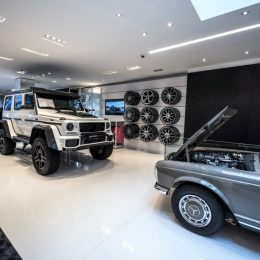 As the perfect partner for the exclusive flagship store, BRABUS was able to enlist Sunseeker London Group, exclusive agent of the globally renowned yacht builder from Great Britain. 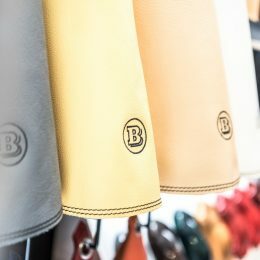 The shipyard founded in Poole on the English Channel in 1969 has been one of the most acclaimed yacht builders in the world for decades. 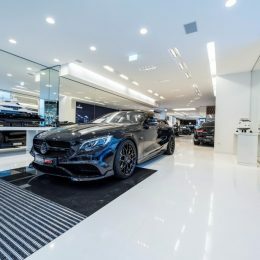 The scale of the luxury yachts from the British company’s product range, which can reach lengths up to 155 feet, dwarfs any land-based showroom. 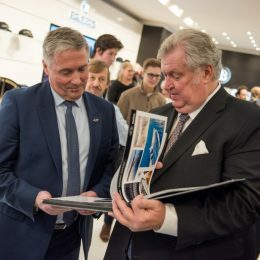 That is why Sunseeker Germany presents its ships virtually and in the form of detailed large-scale models on the Kö in Düsseldorf, the city that each year hosts the “boot” show, the world’s largest water sports exhibition. 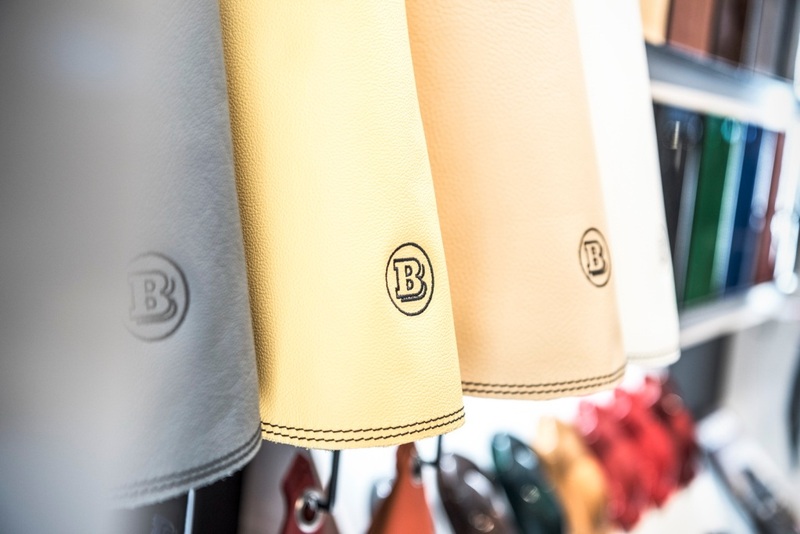 A wide range of high-end materials and accessories typical of the high quality standards of the yachts from the south of England are on hand to show prospective customers ways in which their new dream yacht can be appointed exclusively. 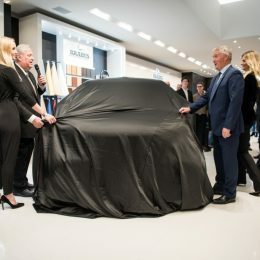 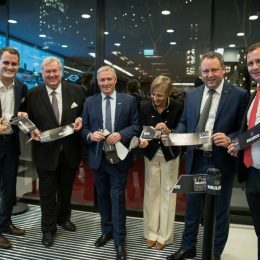 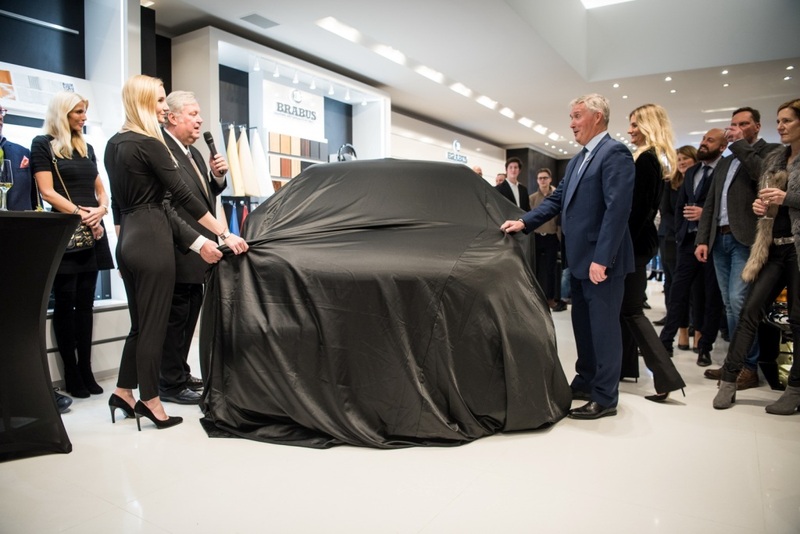 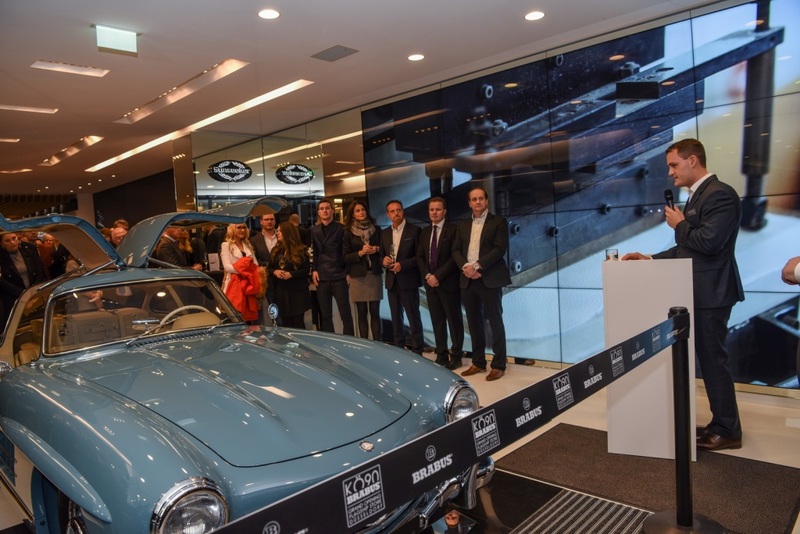 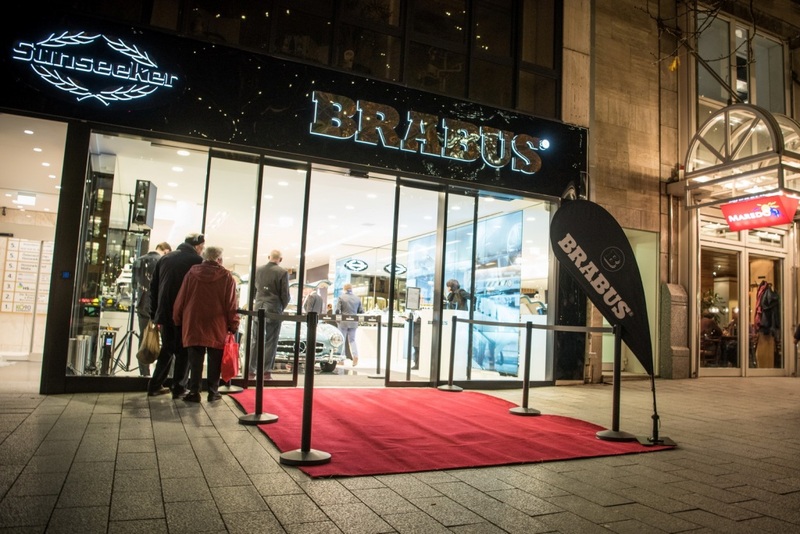 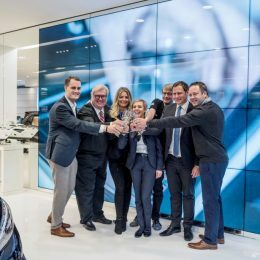 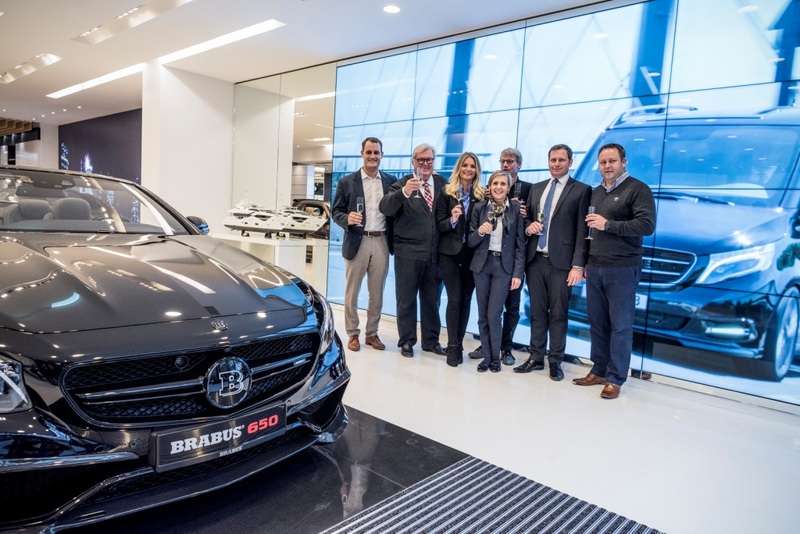 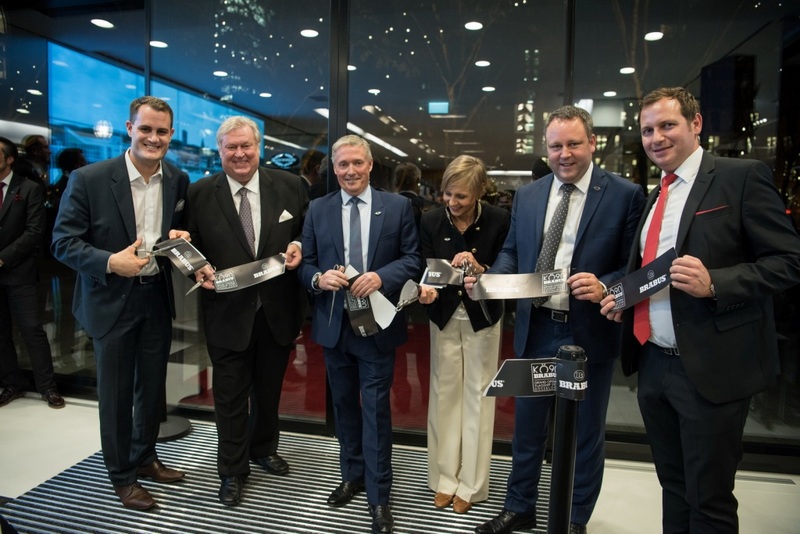 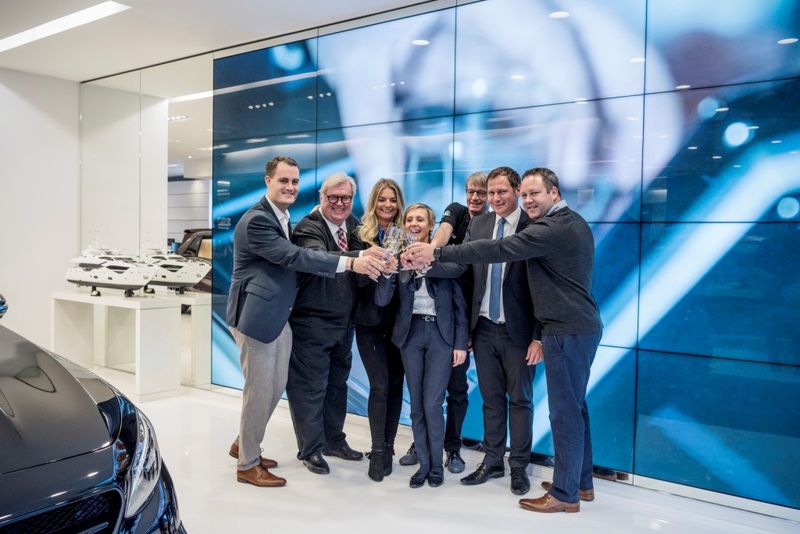 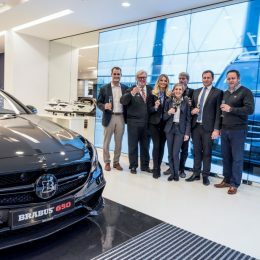 The joint flagship store of the two globally renowned brands BRABUS and Sunseeker was inaugurated with a spectacular grand opening on December 15, 2017. 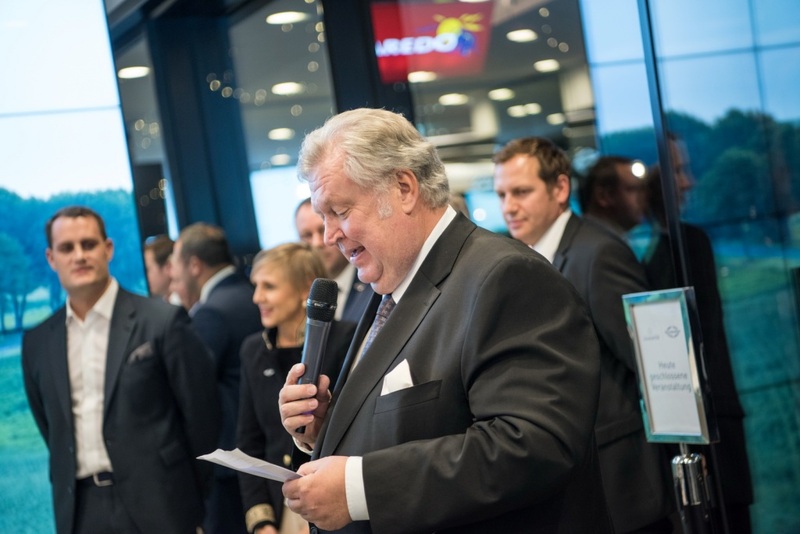 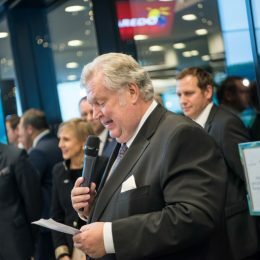 Hundreds of invited guests, many of them VIPs from the worlds of politics, business, entertainment and sports, took advantage of the opportunity to be the first to encounter the new “KÖ90” mobile world of experience while enjoying culinary delights and classy music.